When it is time to buy or sell a home, choosing the right agent results in a successful and satisfying experience for all involved. Real Estate, for most people, is one of the largest transactions of their lifetime. Through my extensive knowledge of the market place, powerful negotiating skills, and innovative marketing plans, I am able to guide you through your selling experience. I know how to work through obstacles and achieve a winning situation for all involved. 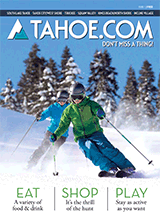 I believe the finest Northern Nevada and Tahoe properties deserve the finest marketing. That is why my advertising is designed to go above and beyond anything offered by any other agent or broker in quality, sophistication and depth. I must speak to DicksonRealty.com. The number 1 real estate website in Northern Nevada. Did I mention award winning? This is your one stop for all things Real Estate in Northern Nevada and North Tahoe. Dickson Realty is also partners with Leading Real Estate Companies of the World®. My goal is to maximize my buyers’ opportunities, my sellers’ profits, and simplify the process for them. I work for you!